Legal free-driving in Europe is very hard to find. In Iceland however, some state roads are what we soft southerners would regard as proper off-roads says Venture 4×4. The EU throws cash at the Stockholm ring road, and new hi-tech truck parks in southern Italy. Watch a daredevil trucker descend the Ravine de Combe Armand. A vital gap in Albania’s motorway network will be filled by next summer. 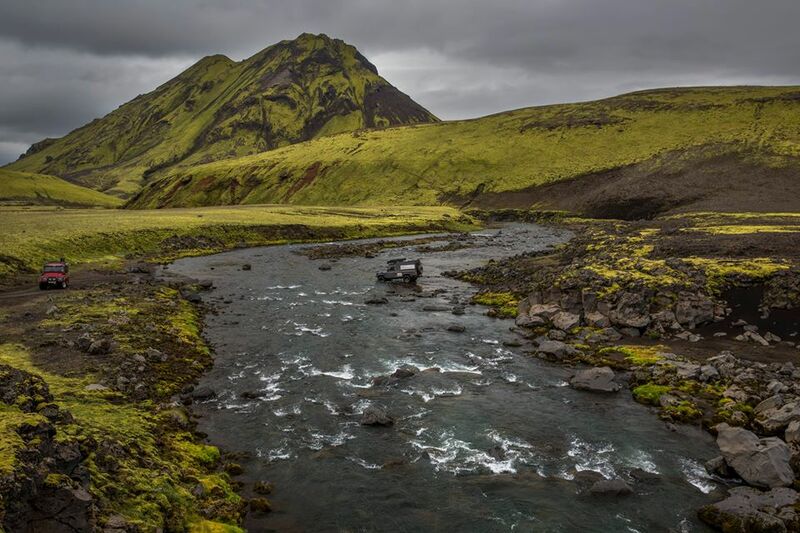 ICELAND: finding somewhere in Europe to put a 4×4 properly through its paces is a problem. Even in wilderness countries like Finland, ‘green laning’ is banned (without permission). So it is in Iceland too but there are plenty of unmade roads around which make driving around the country much like off-roading anywhere else. Venture’s two week camping trips look good value at up to £700 per person. The problem is getting there. Only Smyril Line sails to Iceland (from Denmark). It costs around £700 each way per person during high season for the 37 hour trip – via the Faroe Islands – based on two sharing a cabin (including vehicle, not in the cabin obviously). It is a bit cheaper in ‘couchette’ shared accommodation. Meanwhile, drivers can send vehicles ahead by freight ship for €1500 or hire them locally (though that can work out more expensive apparently). Availability is limited too, both on the ferry and Venture 4×4’s tours. The good news is that most regular 4x4s can cope with the terrain with only minimal modifications: sump guard, raised air intake and decent all-terrain tyres. It’s tempting isn’t it? Very, very tempting. Read this feature in the December 2012 issue of Land Rover Monthly or see Venture 4×4‘s website. Watch a log truck and trick trailer descend the – barrierless – D60 along the Ravine de Combe Armand towards Ceillac in the French Alps, just south of Briancon. roundup: SWEDEN. The EU will contribute €56m towards the total €986m budget for Stockholm’s ring road E20 ‘Norra Lanken’ (northern link) project. The 11km stretch comprising mainly tunnels – mostly now complete – connects Vartan Port in the north east with the existing E4 interchange at Norrtull, due north of the city centre. Set to complete in December 2015. Nora Lanken is a part of the ‘Nordic Triangle’ Priority Project 12, a multi-modal passenger and freight plan to improve transport links between Copenhagen, Malmo, Gothenburg, Oslo, Stockholm, Helsinki and St Petersburg. The EU has also given £400k towards a truck park project in southern ITALY (Campania, Calabria and Sicily). The project includes identifying easy-to-upgrade existing parking places, finding suitable new ones and designing an IT system to allow internet pre-booking. The parking areas will have CCTV, perimeter fences, entry and exit barriers and fire prevention systems. ALBANIA. A vital link between the country’s two motorways should be in operation by next June. The 22km section at Fier will fill the gap between the port cities of Durres and Vlore, 120km apart in central Albania. Four hundred and fifty local road workers have already returned from Italy to do the work says the Independent Balkan News Agency. The government is stumping up the €40m cost.